The Big Data Talent Shortage - Are H1-B Visa Holders the Solution? By design, the H1-B visa program allows immigrants with a Bachelor’s degree and a highly sought after skillset to be hired by companies and be ‘sponsored’ for 6 years only if there are no US Citizens or green card holders qualified for the job. If they graduate and do not find a company willing to sponsor them, they are forced to either leave the country or go back to school. Sponsored workers also have to jump through legal hoops to transfer to a different company within the 6 year period so their retention rate is higher compared to the retention rates of non-sponsored workers. If a company says ‘we’d like to make you an offer and we will sponsor your visa’, do you really think the recent graduate will negotiate the salary much? Is it also possible that companies would rather hire a cheaper, foreign worker than an experienced US citizen commanding a higher salary? But think about another variable. What if the new graduate was more qualified for the analytics role straight out of school compared to someone with 15 years of experience? Certain Fortune 100 companies claim that the US is hobbled economically due to the lack of tech talent and lobbying to increase the number of visas being issued to immigrant workers. The number of Regular H1-Bs available to for-profit companies is currently capped at 65,000 with 20,000 more for Master Degree H2-Bs but the new Senate plan proposes an increase to 110,000 to 180,000. It has been highly chronicled that the Big Data talent shortage is turning into a storm of epic proportions and the number of Big Data Analytics positions is expected to reach 4 million this year. The Big Data Jobs Index powered by icrunchdata shows the top 6 specializations in the Big Data space and the number of positions currently open. Topping this list are 275,000 Analytics positions currently available. Universities are quickly adapting and redesigning their math and statistics programs to better align with the requirements in data science and analytics. Kennesaw State University just unveiled their new Ph.D. in Analytics and Data Science program that will begin this fall. 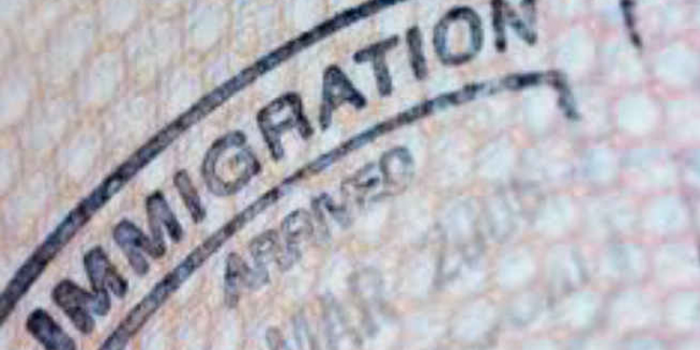 So will H1-B visa holders be the solution to the Big Data talent shortage? Yes, if a few things happen. More university statistics departments will have to evolve their programs to match the unique requirements in Big Data and the number of available H1-B visas to companies will have to increase. If experienced tech workers do not seek training and schooling in the ever changing analytics space, they will be replaced by H1-B visa holders coming out of school already more qualified. The immigration report states that 36% of IT workers do no hold a college degree and only 24% of IT workers have a four-year computer science or math degree. But the stagnation of salaries might not be repeated. If older workers fail to get trained on newer techniques, then fewer, albeit younger people will be filling those rolls. But, if fewer people qualify for these positions, the law of supply and demand will kick in and the salary levels will increase.